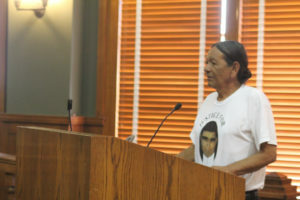 Tuesday morning, April 2, members of Ricky Treviño’s family and their spokesperson, Alfonso Benavides, were present at Cameron County Commissioners Court during a regular meeting to demand the release of the names of two constables allegedly involved in the fatal shooting of Ricky Treviño III on Dec.7 2018. Reporters reached out to Precinct 3 Commissioner David A. Garza for comment but Garza declined to speak. Cameron County Judge Eddie Treviño Jr. commented that he did not know enough information to garner a worthy response.